From GEOFF JOHNS and GARY FRANK, the acclaimed team behind SUPERMAN: SECRET ORIGIN and the SHAZAM! 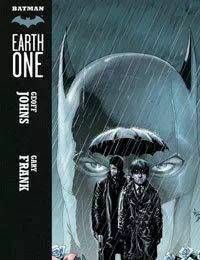 stories in JUSTICE LEAGUE!In the tradition of SUPERMAN: EARTH ONE, this spectacular original graphic novel gives new insight into BRUCE WAYNES transformation into BATMAN and his first year as THE DARK KNIGHT.In this all new take on the Batman mythos, Bruce Wayne is on the hunt for his parents killer. His target? The Mayor of Gotham City! Plus, who is Alfred Pennyworth – and why is he so determined to put an end to the Batman?